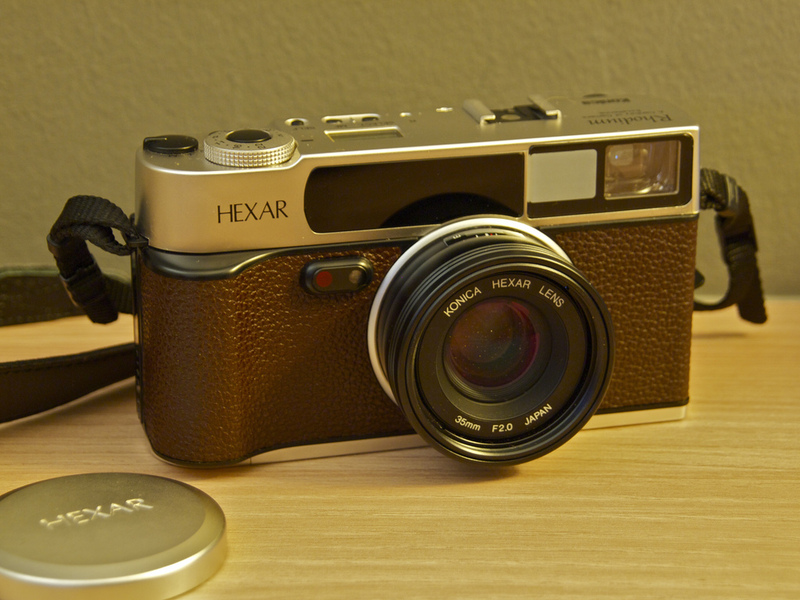 The Konica Hexar is a 35mm fixed-lens, fixed focal length autofocus camera. It is known for its quality lens, ergonomics and useful operating modes. One notable feature is its “silent mode”. When activated, it enables a slower, but quieter film advance, shutter cocking and autofocus.